Here in Aruba we love all of our globetrotting, friendly visitors. So much so, that a lot of times locals and tourists, who were once strangers, even turn into newfound friends after their trip to the One Happy Island! 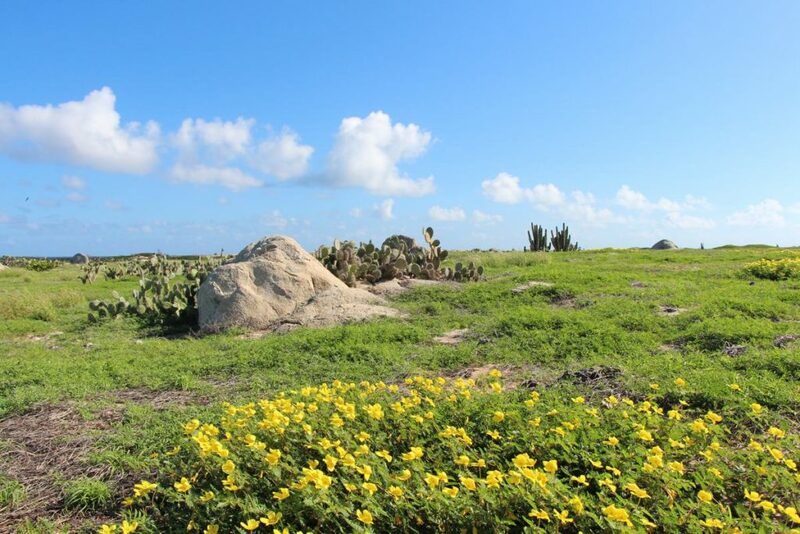 However, there’s something that is often overlooked when regarding our tropical little isla: ENVIRONMENTAL AWARENESS, and the actions taken (and that can be taken) to improve Aruba’s ecological balance*. *ARUBA’S TOP CONCERNS: Solid waste management & beach and ocean environmental damage due to plastic pollution. I contacted Plastic Beach Party, an open recycling facility on the island, and received some alarming facts from their team member, Christie Mettes: Aruba processes approximately 20 tons (that’s 40,000 pounds) of plastic EVERY SINGLE DAY. 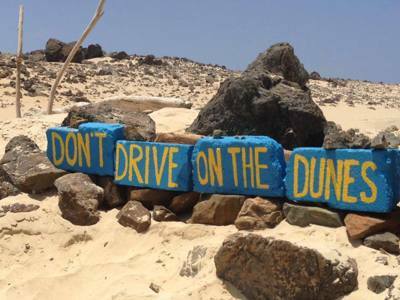 According to The World Factbook by the CIA, Aruba’s main cause for concern when it comes to the environment is the “difficulty in properly disposing of waste produced by large number of tourists”. It isn’t fair to point the finger at just one group though. There is much cause for concern from litterers, of which have been found to be both poorly-educated visitors and locals alike, who unfortunately have left their unwanted marks, a.k.a TRASH, on beaches, around our coasts, and in our ‘mondi’ (our desert-like woods). WE WANT THE BEST OF BOTH WORLDS: to keep our title of being the One Happy Island, and to be able to continue our ever-growing friendships and connections with people from around the world. 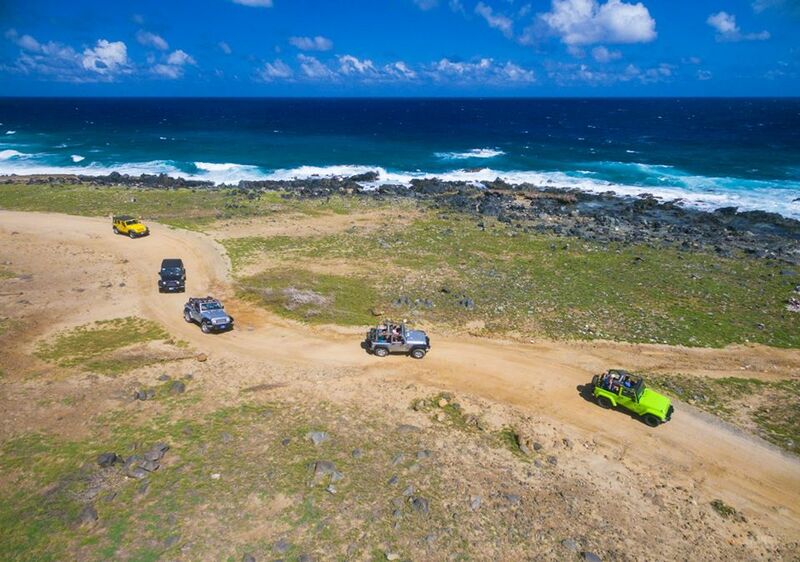 There are many actions that have taken place over the past few years to help out with the issues that negatively impact Aruba’s environment. The Government of Aruba is still working on concrete solutions for more sustainable waste management on the island, but there are many other initiatives that have already been taken by private businesses, local residents, the public sector, and even tourists! Let’s explore the positive actions that continue to inspire hope and change for a more ecologically balanced Aruba in the near future. The initiative “Plastic Bag Ban Aruba” was introduced by the local, Ms. Juliet Carvalhal, back in 2013, and formally initiated in 2017. So, if you’re going grocery shopping in Aruba, be sure to bring a reusable bag, purchase one in-store, or if you really have no other options, sometimes the supermarkets will give you an empty produce box to put your purchases in as well. 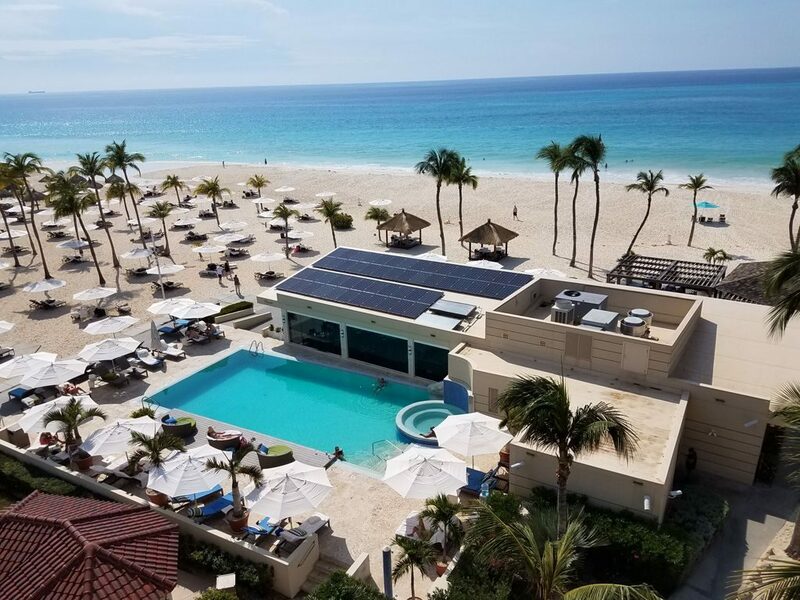 The great news when it comes to biodegradable products and the hospitality industry in Aruba is that MANY RESTAURANTS AND RESORTS HAVE OPTED TO GO GREEN when it comes to mass-used goods such as drink ware, straws, to-go containers, and serving dishes. 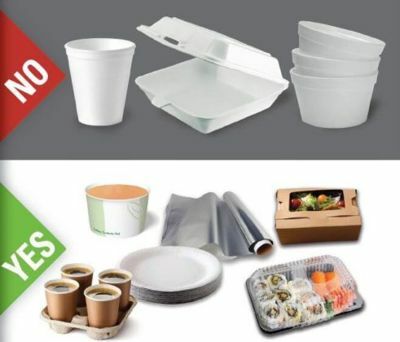 One of the main providers to thank for the Eco-friendly switch up is ASD Aruba, a company that took it upon themselves to swap out foam for more biodegradable products. Another company shining through is Tara Eco-Supplies Aruba that offers biodegradable paper straws! Plastic Beach Party is currently Aruba’s ONLY plastic recycling facility. This organization has brought creative and very solid solutions for plastic waste reduction by recycling and upcycling plastics. Not only that, they offer very accessible ways to get involved and HELP BEAT PLASTIC POLLUTION! MAGEC Aruba, a.k.a the ‘Making Aruba a Greener Environment Club’ – initiated a recycling project at the University of Aruba in collaboration with Plastic Beach Party, and hopes to inspire other educational establishments to follow through with recycling programs too. Solar panels are quickly spreading and covering the rooftops of public sector buildings, and even some private enterprises. 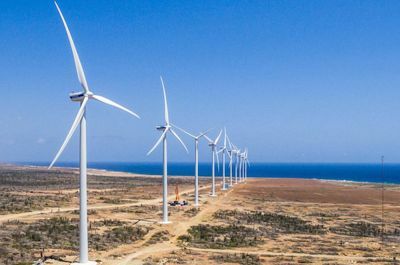 On the south side of the island you can find the Vader Piet Wind Farm of which is reportedly responsible for almost 20% of the local energy consumption of Aruba. 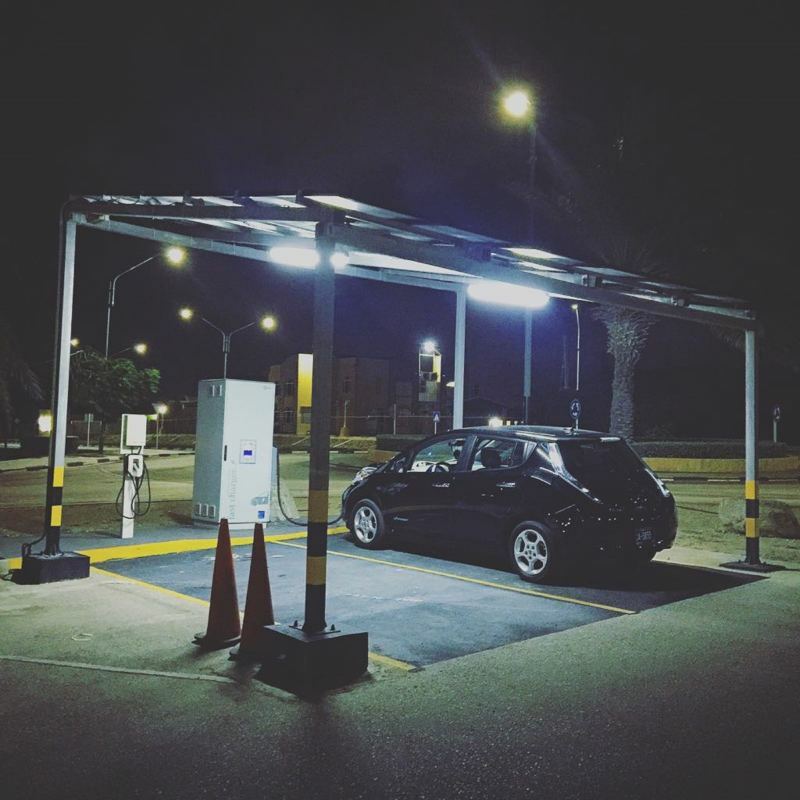 The use of electric and hybrid vehicles is becoming more popular now that there are electric vehicle charging stations available in varying locations around the island. 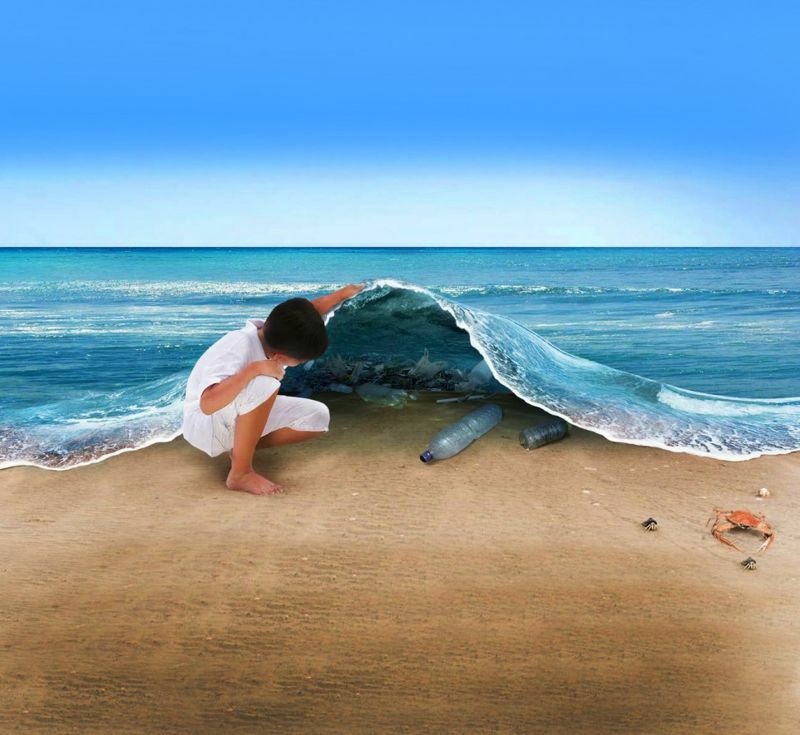 “Please help us keep our beaches clean! All of the beaches on the One Happy Island are public but no motorized vehicles, no campfires or BBQ’s, and no littering are allowed on them. 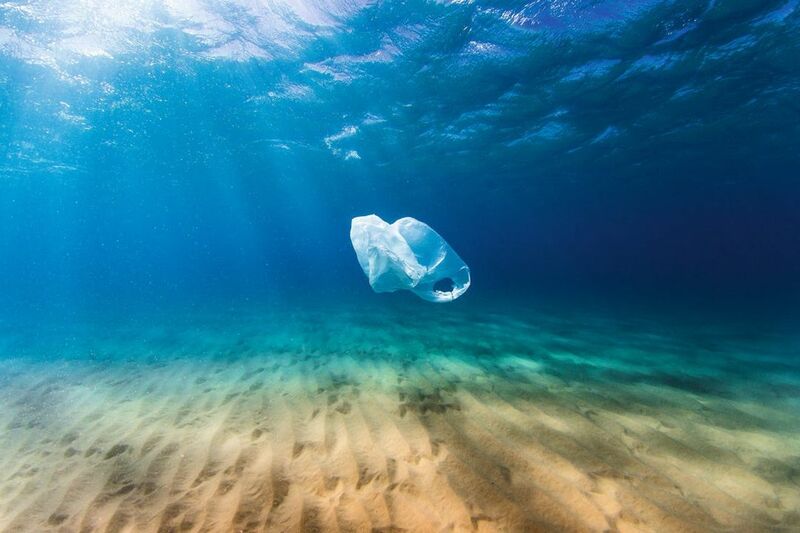 It isn’t a secret that the ocean waters are also being impacted negatively by plastic pollution and reckless human behavior. 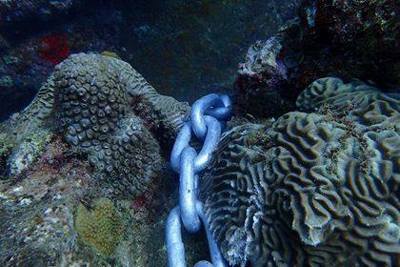 In the photo above you can see a thick metal chain laying on top of coral reefs. The photo was shared by Aruba Reef Care Foundation, an organization that is pushing for a brighter future for Aruba’s surrounding reef and ocean life. This is what we call CARELESS ANCHORING, and it most definitely damages the aquatic ecosystem. The corals aren’t the only ones that suffer though. Sea turtles and other sea life are often times injured or killed due to getting stuck in, or digesting plastics that float the sea such as straws and bags. 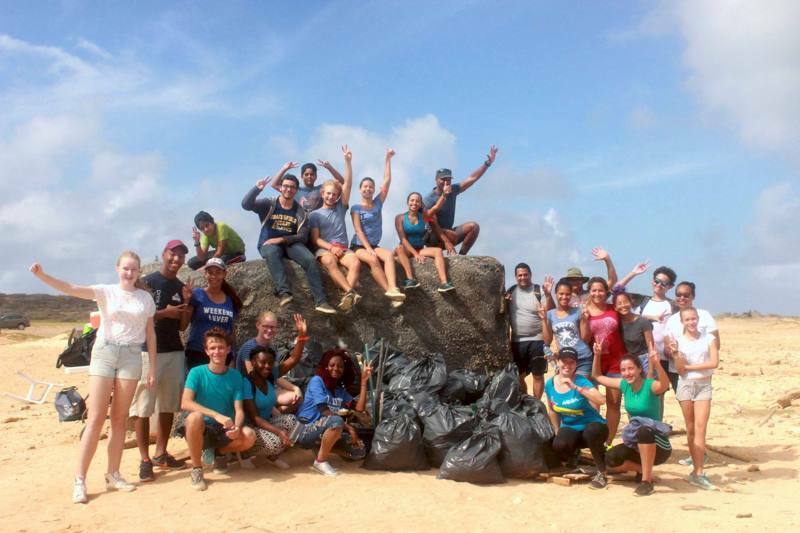 There are many foundations and organizations based in Aruba that tackle diverse environmental issues. 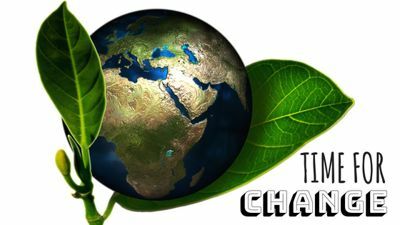 Some are more focused on awareness and education, such as hosting informative lectures or promoting environmental awareness online via their social media channels. While others focus more on organizing community-involved events such as littered-trash cleanups in specific areas around the island, and actively defending other species and their living environments from harm. Want to get involved? Contact one of the organizations below! P.S. Stay tuned for more of our ARUBA AWARENESS blogs in the future! Be sure to keep up with the VisitAruba blog for the local’s perspective on everything Aruba, and follow us on Insta for the latest travel-inspo!